In 1965 a group of locals led by Boyup Brook resident Laurie Ambrosis decided to seek shire approval and build a motorcycle scramble track on the outskirts of town on the Dinninnup Road, The track was scratched out using a set of off set discs behind a tractor. The track was kidney shaped with a small creek crossing at the lowest part of the circuit nearest to the Blackwood River. The driving force behind the project Laurie Ambrosis raced a 350 BSA, while Darryl Gibbs was on a 500 AJS single and his brother Robert Gibbs on a 350 Norton frame with a 500 twin Triumph engine fitted. Interest in the project was sparked by another group of riders in the nearby town of Grimwade who had made a track through there pine plantation, at the time the Boyup Brook and Grimwade riders would get together for these grudge match meetings at both circuits. a prominent member of the Grimwade group was Mike Piggott. The Boyup Brook track opened in 1965 and closed around 1967, only a handful of meetings were held before the land lay dis-used until 1969 when the Hot Rod Track was built over the top of the circuit. The Boyup Brook Hot Rod Track was built on the edge of the Blackwood River on the Dinninup road by local volunteers. The track had long straights with the front straight sweeping downhill to the edge of the river and the back straight had a dog leg past the pits into the uphill climb of turns three and four. The newly formed club with local farmer Norm Eaton as president of the day, officially opened the track on the 2nd of Febuary 1969, but the club and track only operated until 1977. 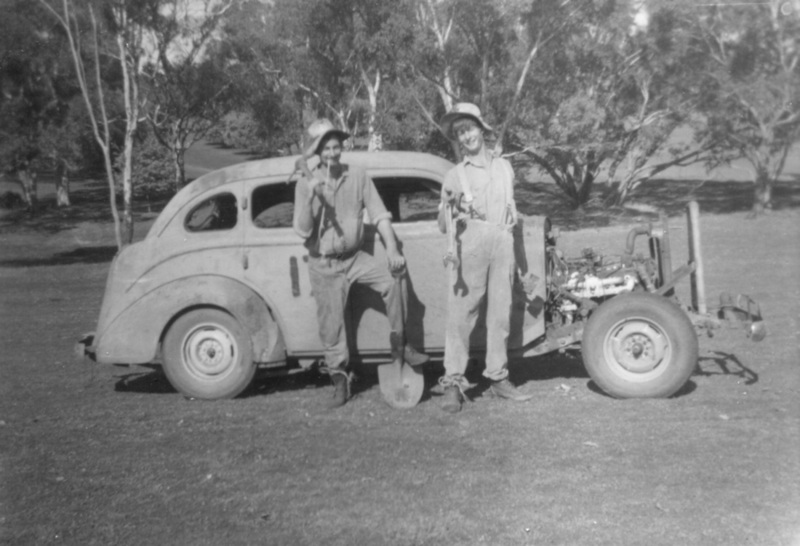 Prior to the official opening, the club ran a time trial event as the original opening clashed with either Bunbury or Collie which would have robbed Boyup of of competitors, fastest on the day was Joe McLaughlin in a FJ Holden followed by Des Eaton in his FC Holden. Ted McLaughlin would become the only life member of the Boyup Brook club. Allan Bryant: who was manager of the Boyup Brook Co-Op played a big part in the inception and building of the Boyup Brook track, he did not compete at Boyup but had competed previously at Bunbury's Blunders track in a Chevrolet sedan in the late sixtee's as a Donny Brook member.On returning to the track after a rushed trip to town one Sunday, Allan collided with a train in his Toyota crown ute and received massive leg injuries. Wayne Bryant: son of Allan started his racing career after he lost his licience doing all those things young boys do,his ride was a mark 2 Zephyr number 13 and he went on to win many races. Ross Bryant: younger brother to Wayne started racing at a later date. At the age of sixteen Grant was givern a 1938 Plymouth sedan to turn into a hot rod, so he could start racing at the new Boyup Brook track, The front gaurds, grill and bonnets were removed, the engine was very rusty and seized so Grant set about stripping the engine and re-honing the cylinders, cleaning and re-assembling so it would run again. 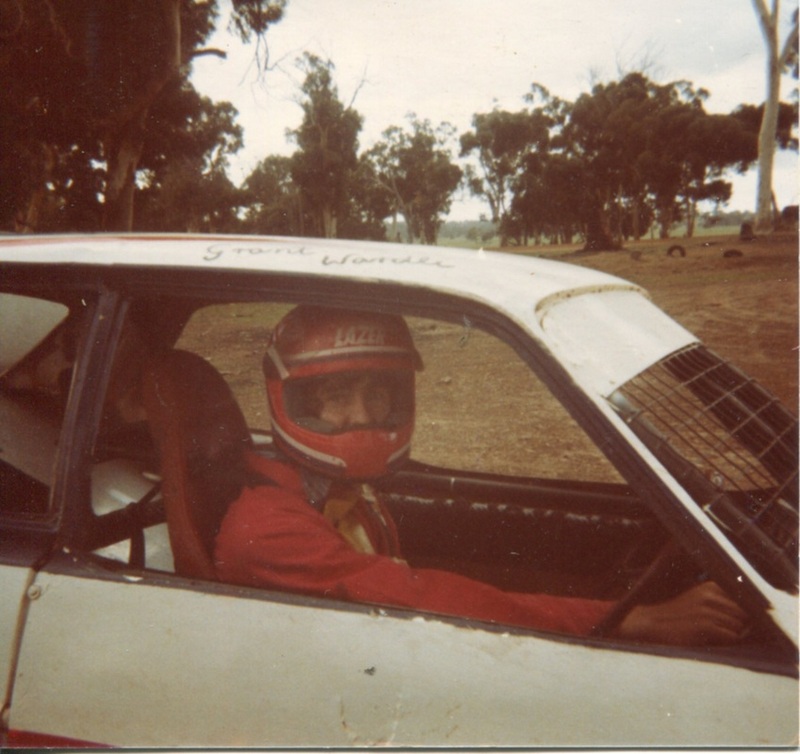 Grants first meeting with the Hot Rod was at the Boyup Brook track, His mother had to flat tow the rod on a ridged bar some 40 km for the farm to the track and then return after the days racing. Grant Wardel recalls: When we built the track, I recall one of my jobs was to drive a borrowed tip truck to a property were a loader driver would load up the clay for the race surface, I would then return to the track and dump the load, sounded simple enough, the problem was the loader driver overloaded my truck so when I returned and dumped the clay the chassis rails on the truck bent, the solution to the problem was return to the clay pit were the loader driver pressed down on top of the tipper with the loader and straightened the rails, after we finished the carting we returned the borrowed truck and did not raise the matter again. Grant Wardel recalls: While I was at Claremont Speedway one night and I had made up my mind that the Pontiac Trans-am was the way to go, I aproached Des Alfirevich for advice. not knowing what his reaction would be I was thrilled by his responce," I will help you anyway I can, just give me a call, and thats just about how it went down, not only did Des offer all his knowledge to the building of the chassis, steering and suspension but he also orginised all the specialised components and machining for the engine. THE first thing Norm Eaton said when he met Tony Abbott was " it has taken me 95 years to meet a Prime Minister of Australia. Mr Eaton was one of the few people who was able to speak to the Prime Minister during his fleeting visit to Bunbury on Sunday. 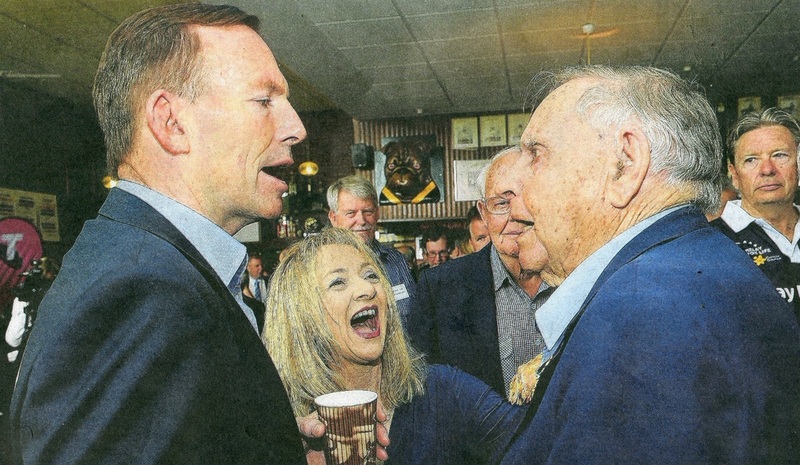 Mr Eaton who was held as a prisoner of war in world war two, met Mr Abbott during a morning tea at Bunbury Football Club, on behalf of the Bunbury Returned Services League. He said he was not surprised to discover Mr Abbott was a "genuine person". He was quite interested in my life history and he asked me all the questions' he said. I always knew what sort of person he was." Mr Eaton has been a member of the Bunbury RSL for 70 years, has ranked the meeting with Mr Abbott as being on par with meeting Prince Charles. "I am a third or fourth generation Australian and I consider he (Mr Abbott) should be honoured as PM." "a lot of people denigrate our prime ministers, ministers and public people and that not right as far as I am concerned. The race track has been graded at some point, maybe for a special stage in a motorcycle enduro-event, the ess bend has been removed out of the back straight since the track was first layed, nothing remains of any of the facility's just a few timber from the control box at the pit gate and some pit fence posts and wire strands covered with new regrowth.